The next step up from the FORTIS220 is the FORTIS322. 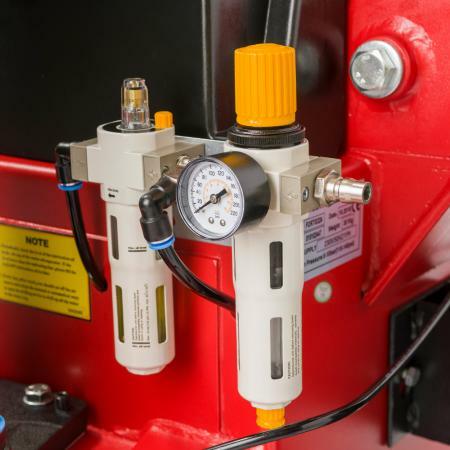 This is a fully automatic tyre changer meaning that the back column is operated by a pneumatic piston, controlled by a foot pedal. The Whole column will tilt back, away from the machine to clear the turntable. 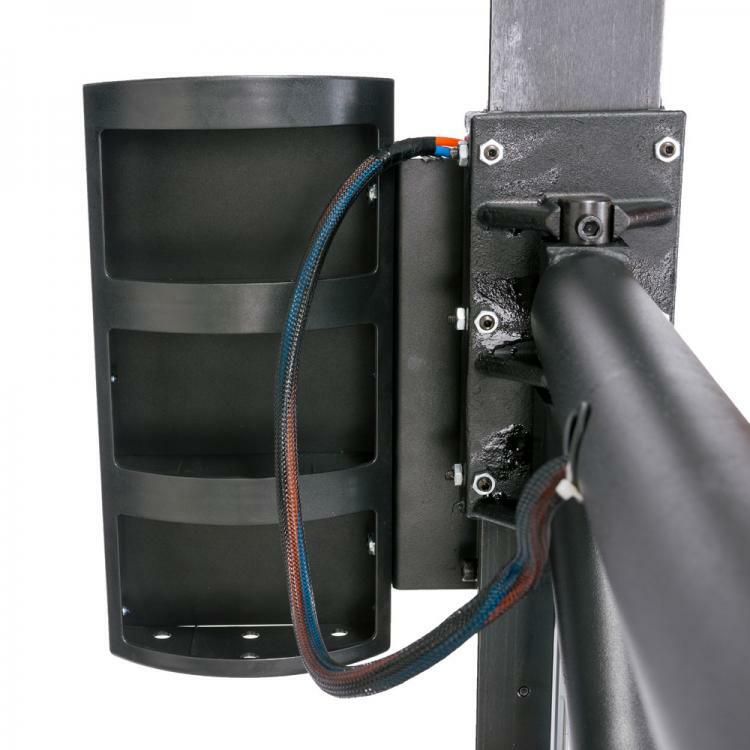 The mounting head is on a slide that moves back and forth and the mounting head height is controlled by hand. 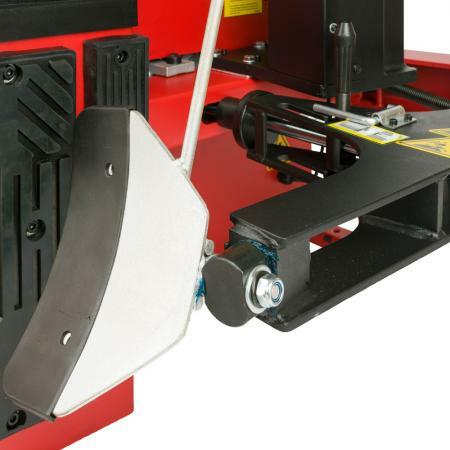 Once in position, the tyre machine will lock the head in both the horizontal and vertical axis with the simple press of a button. This speeds up removal and fitting of tyres that are the same size. The machine also features a pneumatically controlled 3 way assist arm to help with the fitting and demount of run flat or low profile tyres. The FORTIS 322 is probably one of the most common machines you will find in a tyre shop. 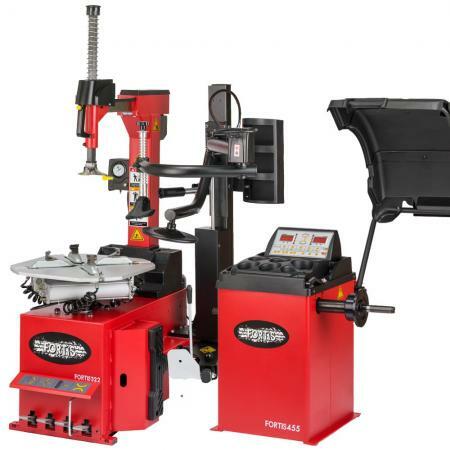 With the increase in larger rims, run flat and low profile tyres in the aftermarket, a tyre changer with an assist arm is becoming the first choice for fitters. The Assist arm is just that. 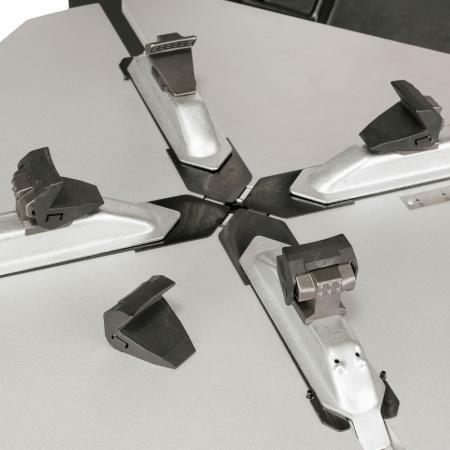 It assists in the mounting and de mounting of run flat tyres. As the side wall of these tyres are so stiff, having the pneumatically controlled assist arm, putting pressure on the sidewall and holding the bead into the rim when fitting will help reduce the effort and stress during the fitting process. 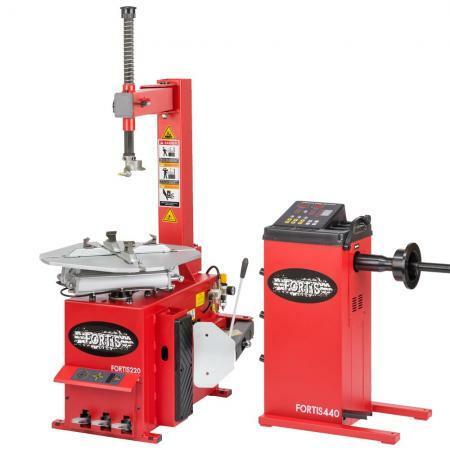 The Fortis 322 has been designed to be one of the strongest tyre machine on the market today. 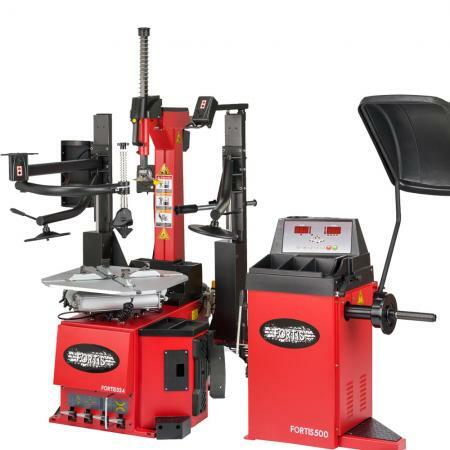 Special adaptations including the 41mm hex arm which holds the mounting head, means that this is a tough tyre machine, able to handle difficult wheel and tyre combinations with ease. The machine was actually designed by a former Lamborghini designer! Strengthened channels in the tilt arm and throughout the base means that the Fortis 322 is solid, ridged and dependable. This is exemplified by the 2800Kg of bead breaker force. Run flat tyres have extremely stiff side walls, enabling the vehicle to drive slowly on a tyre that has deflated. Great idea, except it makes mounting and de-mounting a tyre just that little bit harder! That’s where a 3 way assist arm comes in. The combination of fixed roller, rotating clamp and lower lifting disc makes the job much easier. 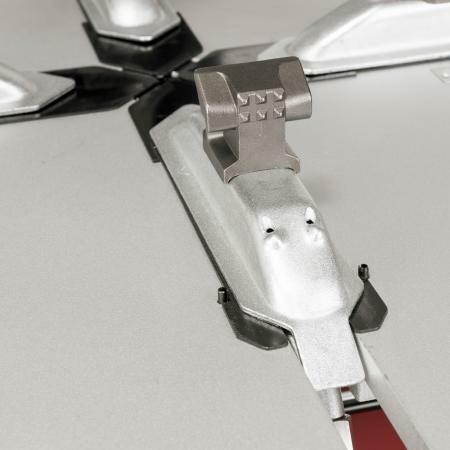 During the mounting process, the fixed roller and rotating clamp put pressure on the sidewall of the tyre, keeping it within the well of the rim so you are only stretching the bead as little as possible. This reduced the effort required as well as minimising the change of damaging the tyre or rim. 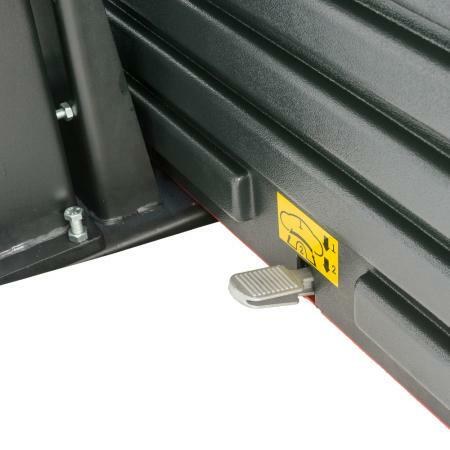 A fully automatic tyre changer relates to the design of the locking system. All tyre changer that aren’t manual have a pneumatic clamping jaws and a pneumatic bead breaker. 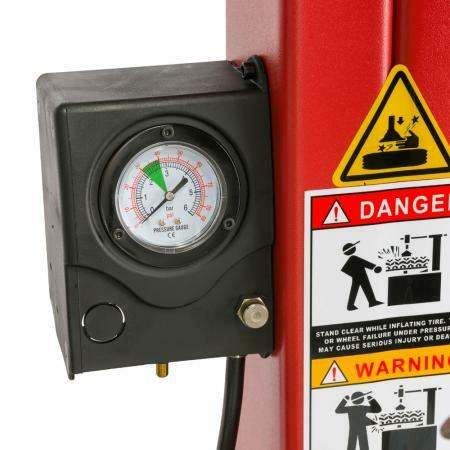 The difference between a semi-automatic tyre changer and a fully automatic tyre changer comes down to how the mounting head is locked in place. On the semi-automatic machines, this is done manually. 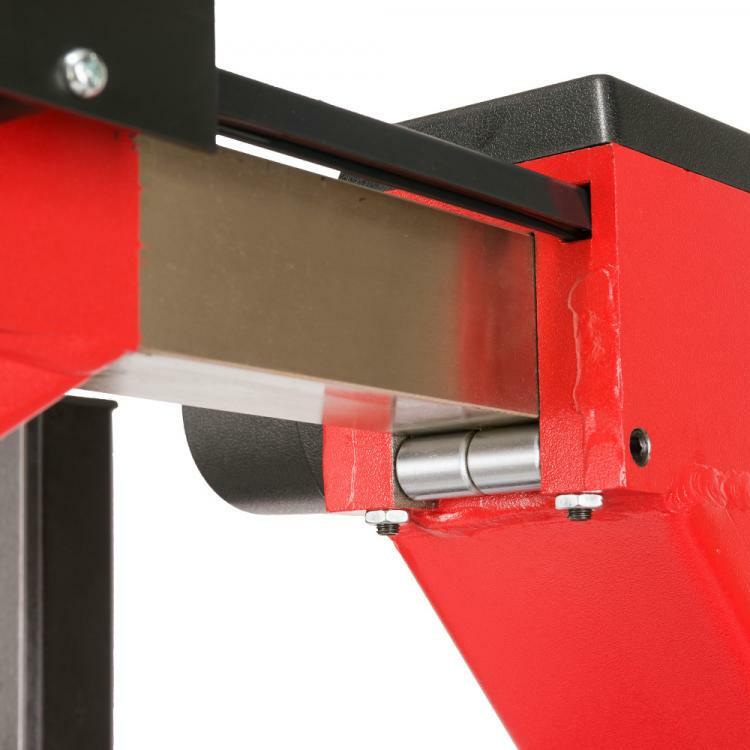 On the Fully Automatic tyre changer, this operation is completed using a button on the front of the handle which operates locking plates that clamp the mounting head in place. 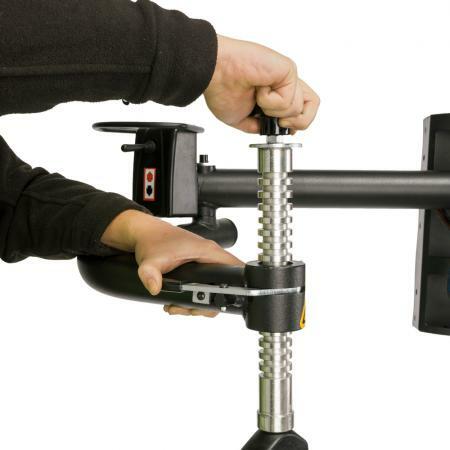 The main advantage of this is that once set to a certain wheel diameter, the arm will tilt back and forth into position by the press of a foot pedal. This saves you time when changing a set of tyres that are the same diameter.